How To Challenge The Results of Your DUI Test - Crooks, Low & Connell, S.C.
After a night out with friends, perhaps you were stopped by police while on your way home to bed. Or maybe you were headed to a sporting event with friends when a cop noticed what appeared to be a beer can in someone’s hand. 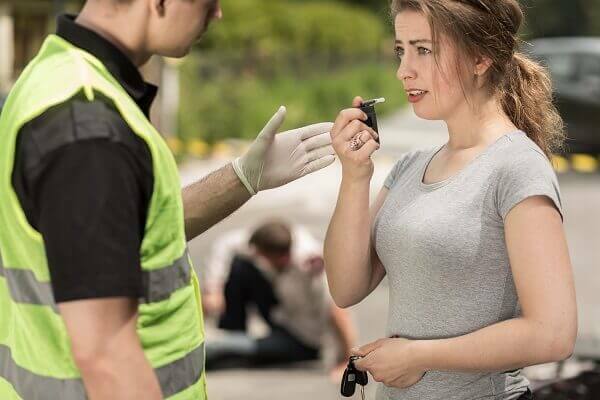 In either of these instances, a seemingly innocent event can turn into a potentially criminal affair if you are asked to take a breathalyzer test and the results come back positive. While breathalyzer tests are often accurate, they are not impervious to misuse or mistake. There are many ways that police can use breathalyzers to create a false positive for drivers. Even where the results are accurate, they may also be attended to by circumstances of abuse or misuse that place the results on questionable legal grounds. There are many options available to individuals stopped on suspicion of drunk driving and forced to undergo DUI testing – but who want to try to keep their test results out of court. Depending on your circumstances, any of the following arguments may apply to you. Was Your Wausau Traffic Stop Even Legal? Before even delving into the circumstances of the DUI test that you took, the first question to ask yourself is whether the police stop that led to your testing was even legal. The United States Constitution does not permit officers to stop a driver at random, with no particular basis. because of the color of your skin. If you have reason to believe that your vehicle was stopped at random, or for reasons unrelated to possible criminal activity (like your gender) you may be able to argue that your stop was illegal and any evidence derived from the stop (including your test results) should not be admissible in court. But Did You Seem Like You Had Been Drinking? Even if your vehicle stop was legal, this does not automatically entitle police to give you a breathalyzer. Instead, there must be additional evidence or circumstances that give police the additional reasonable suspicion to believe that the cause of your questionable behavior is alcohol. For example, if you are pulled over because your brake light is out, this does not automatically suggest to police that you have been drinking. A break light can go out for many reasons, none of which involve a night of partying. However, if after pulling you over, the officers notice that your eyes are watery and your speech is slurred, this may be enough to give them reasonable suspicion of a DUI and enable them to conduct a DUI test. Sometimes the circumstances of your stop may be enough to warrant DUI testing. Perhaps you were driving in a very erratic fashion, which suggested that you were inebriated. Or perhaps they caught you driving unusually slowly at 2am in the morning after New Years Eve. But where the circumstances themselves do not create a reasonable suspicion of DUI, and your behaviors don’t either, the police may not have a sufficient basis to ask you to complete a DUI test. Under these circumstances, if you are forced to take a breathalyzer exam – you may be able to exclude the results at trial because the test was improperly conducted. Was Your Test Properly Administered? Finally, even if the police have followed all the rules in your case, including pulling you over, subjecting you to investigation and testing all for a legitimate reason – a DUI test can still be administered incorrectly or administered in a way that leads to questionable results. Breathalyzer tests must be properly calibrated before being used in order to ensure that they provide accurate readings. Mouthpieces must be changed to make sure that your test is not contaminated by the results or circumstances of a prior test. Even how hard you blow into a breathalyzer test can taint the results and lead to a false reading. The accuracy of breathalyzers also depends on how quickly they are administered after you are pulled over. If it takes a while to locate a breathalyzer for you to use, or police have difficulty getting the breathalyzer ready, the result of your test may not accurately reflect what your blood alcohol content was at the time you were actually driving. Even if you are subjected to more sophisticated testing such as a blood test, these tests are subject to challenge unless they are properly administered. In Wisconsin only certified individuals can draw blood for a DUI test, and the procedure for drawing blood must be precisely followed. Given all of these variables, it is not hard to see why DUI testing is susceptible to challenge in court. Whether due to user error or problems with the device itself, there are many circumstances where a driver can be incorrectly accused of having a blood alcohol level that is over the limit. If you have been charged with a DUI that you believe was improperly handled, there are a few steps that you should go through to evaluate the situation. The first step is to evaluate, minute-by-minute how your vehicle stop occurred. Then think through what evidence gave police a basis to subject you to DUI testing. Then think through how that DUI testing was conducted. Think back hard and slowly, making notes of what was done every step of the way. If the reading was in error due to faulty testing procedure – this is where you’ll remember it. Within the details of your evening, there may be multiple opportunities to challenge the results of your DUI test. At Crooks, Low & Connell, P.C, our DUI attorneys have helped countless clients to fight back against faulty DUI charges. For more information, or to schedule a consultation, contact our Wausau, WI offices online or at (715) 842-2291.